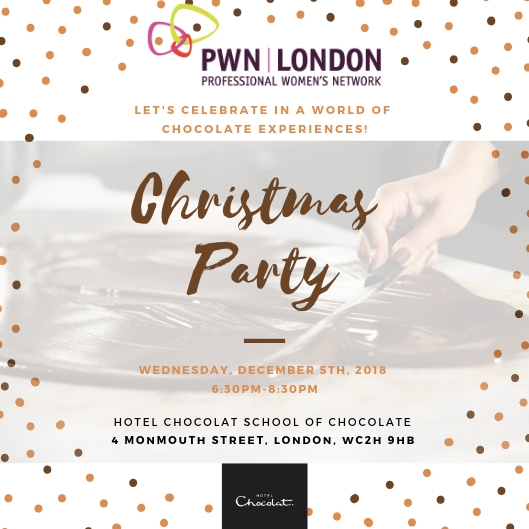 Join us for a festive networking event with an interactive chocolate tasting experience, created especially for chocolate lovers at Hotel Chocolat School of Chocolate in Covent Garden. · Discover the best way to experience chocolate, how to taste it, and what to look out for. Taste delicious seasonal chocolate canapes and enjoy a glass of bubbles or two. If you wish to take home a chocolate souvenir, the shop will be open with a 15% discount on all products.